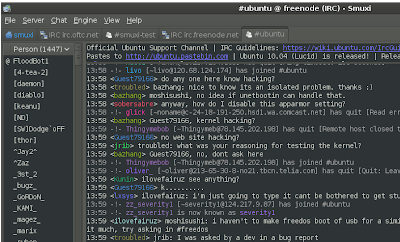 Development of Smuxi started in 2004 making an IRC client that fits the needs I could not satisfy with irssi. 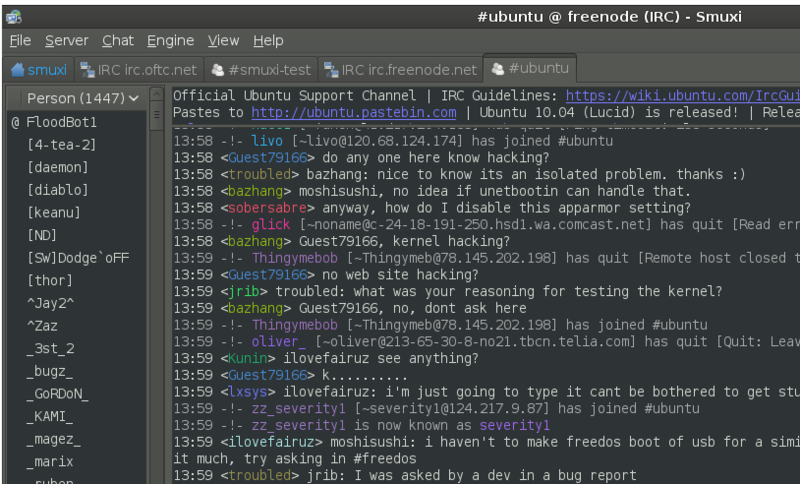 I was using irssi over 4 years and it's the best the IRC client I have used so far. Most annoying was that it didn't integrate at all into my desktop experience (such as mouse / clipboard / theming / highlight handling). Thus irssi inspired lots of features and commands seen in Smuxi. Smuxi pioneered the separated engine / frontend concept inside a single graphical client application and has been the focus of development since ever then. 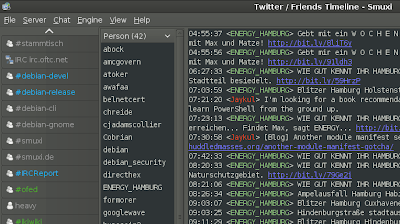 All the basic IRC client features like support for multiple networks, filters, nicknames, keyboard shortcuts, auto-connect, clickable urls, theming, channel list, search etc. 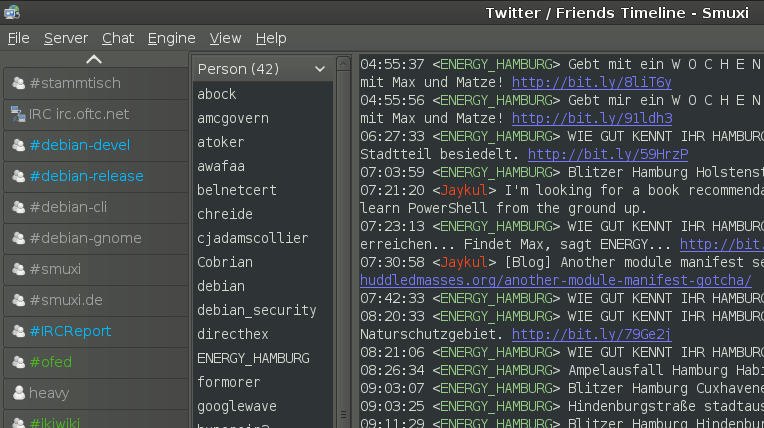 Addition of 'Open Log' button for easy viewing of logs. Maverick users can download it from software centre.